Swami Vivekananda was born in an aristocratic family in West Bengal on January 12, 1863, in the Pausha Krishna Saptami tithi. His original name was Narendra Nath Datta. Naren (as Swami Vivekananda was popularly known), was the son of Vishwanath Dutta, an attorney at the Calcutta High Court and a housewife Bhubaneswari Devi. 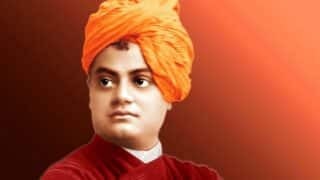 But the world knows him as Swami Vivekananda, a social reformer, philosopher and great thinker, whose views continue to inspire millions across the world. Hence, in 1984, the government of India chose to celebrate January 12 as National Youth Day. The aim is to improve the future of the country by motivating the youth through the way of life and ideas of the Swami Vivekananda. Naren’s childhood was greatly influenced by his father’s liberal thinking and his mother’s spiritual and religious temperament. His intelligence was evident since childhood, when he became the only student to have received first division marks in Presidency College entrance examination. He was an avid reader and would read books across genres including but not limited to religion, history, social science, art and literature. He was also greatly interested in Puranas, Vedas and Upanishads. Not surprisingly, Naren was also greatly interested in spirituality and philosophy from a young age and would meditate before the images of deities such as Shiva, Rama, Sita, and Mahavir Hanuman. At the same time, he was also a very naughty and restless child with a quest for learning. He was also trained in classical music and would regularly participate in physical exercise, sports and organised activities. Since then, Swami Vivekananda embarked on a journey of leading the life of a wandering monk. He travelled extensively in India for five years and visited centres of learning. He also acquainted with diverse religious traditions and social patterns. 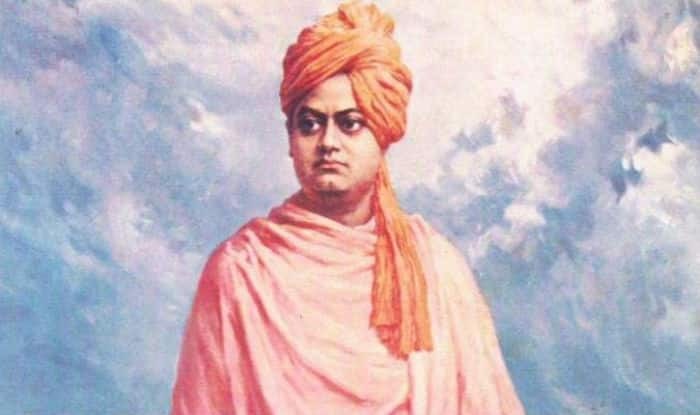 Vivekananda then travelled to the West in 1893 and is credited with reintroducing the Indian philosophies of Vedanta and Yoga to the Western world. He also introduced the West to Indian heritage, culture and philosophy. He also spoke strongly against the curse of poverty, prejudice and discrimination. Of his many lectures, the one at Chicago at the Parliament of the World’s Religion is the most revered one. The introductory speech began with the words ‘Sisters and brothers of America’ and received a 2-minute standing ovation from the seven-thousand people in the audience. Swami Vivekananda attained Mahasamadhi on July 4, 1902. The visionary thinker woke up early on this day, went to Belur Math and meditated there for three hours. He then took classes, discussed a planned Vedic college in Ramakrishna Math and went to his room at 7 pm and asked not be disturbed. He passed away at 9.10 pm while meditating. It is said that a rupture of a blood vessel in his brain was the real cause of his death. He was cremated on a sandalwood pyre on the banks of Ganga in Belur. 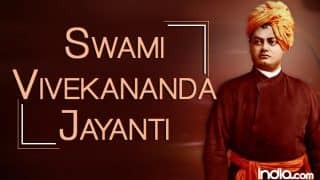 The birthday of the Swami Vivekananda is celebrated every year at many centres of the Ramakrishna Math, Ramakrishna Mission and their branch centres according to the Indian culture and tradition. A great mangal aarti, hoom, devotional songs, meditation, religious speech as well as the sandhya aarti is performed while celebrating the birthday of the Swami Vivekananda. The day is officially celebrated as the National Youth Day across India and by his followers in different parts of the world. Schools and colleges organise essay-writing and cultural competitions, while the government of India celebrates the day with a unique theme every year. The day is a way of paying respect and remembering the great teachings of the visionary leader who inspired and continues to inspire millions of youth across the world. Be afraid, don’t tease the unknown!